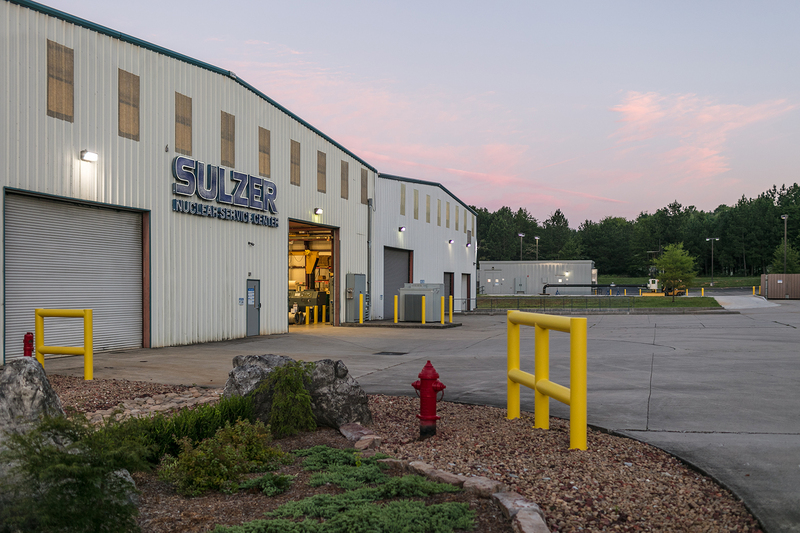 As an innovative pump manufacturer and independent maintenance provider, Sulzer is uniquely placed to offer specialist technical knowledge and support for all types of pumps, including those from other manufacturers. 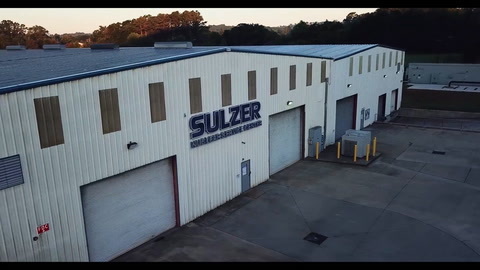 One area that requires specialist skills and expertise is the nuclear power sector and Sulzer has established a service center in Chattanooga, TN, that offers a comprehensive suite of resources tailored to this application. The nuclear industry operates in quite a unique position in that it has a defined date when the site will be decommissioned so the aim is to ensure that all the assets on site will provide reliable service throughout the plant’s life. Operators look to minimize running and maintenance costs by introducing design changes that will preserve the existing assets and add to reliability. There can be no margin for error in a nuclear power plant, everything must perform exactly as it was designed, but there is still room for improvements to be added. Sulzer specializes in assessing legacy equipment and adding value by modifying a design or changing a material so that durability is improved. Renowned for its expertise in pump manufacturing and maintenance, with service centers across the world, Sulzer offers industry-leading support to all pumping applications. However, there is one service center in Chattanooga, TN, that offers state-of-the-art solutions to the nuclear industry, a specialist sector that demands particular attention to detail. In a recent project, Sulzer has designed and manufactured a set of six replacement raw water cooling pumps for a nuclear installation. The new pumps had a lower specific speed than the originals, reducing their power requirements, which improved the margin on the diesel generators. The pumps met all of the required specifications as well improving performance and reducing vibration. The key to this improvement was understanding the pump curves and how they interact with each other. Previous issues with original pumps were resolved but, more importantly, the amount of power required from the diesel generators to run the pumps was significantly reduced. This action removed any need to re-rate the generators, which could have cost millions of dollars. Where necessary, Sulzer assumes responsibility for the design, reverse engineering and certification of pumps and assemblies for most original equipment manufacturers (OEMs). The quality assurance program employed at Chattanooga Service Center is certified and audited to meet the requirements of 10CFR50 Appendix B, part 21, and ASME N and NPT Class 1, 2 and 3. The focus on improved durability can often involve improving the metallurgy of a component or refining impeller geometry to minimize cavitation. Every application has its own set of challenges and Sulzer is fully equipped to assess performance, deliver specific recommendations and implement them. Using state-of-the-art data capture tools, laser scanners and precision machine tools, Sulzer can create new components with improved hydraulic performance and extended durability. In addition to planned support, there is also a demand for out-of-hours assistance. The power generation industry operates round the clock and as a key provider of engineering support, the service center at Chattanooga offers support 24/7. Picture 1: Every manufacturing process is completed by experienced engineers. Picture 2: Reverse engineering starts with precision measurements. Picture 3: Chattanooga Service Center offers round-the-clock support to the nuclear industry. 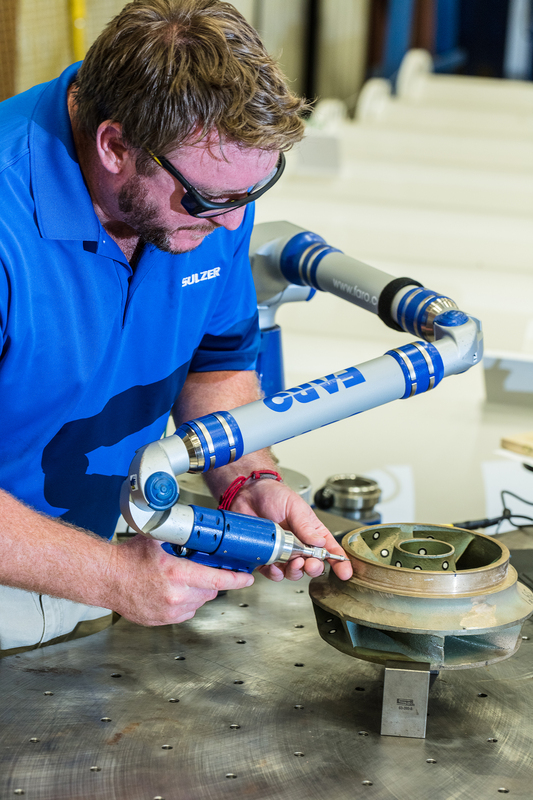 Sulzer is the leading worldwide, independent service provider for the repair and maintenance of rotating machines including turbomachinery, pumps and electro-mechanical equipment. 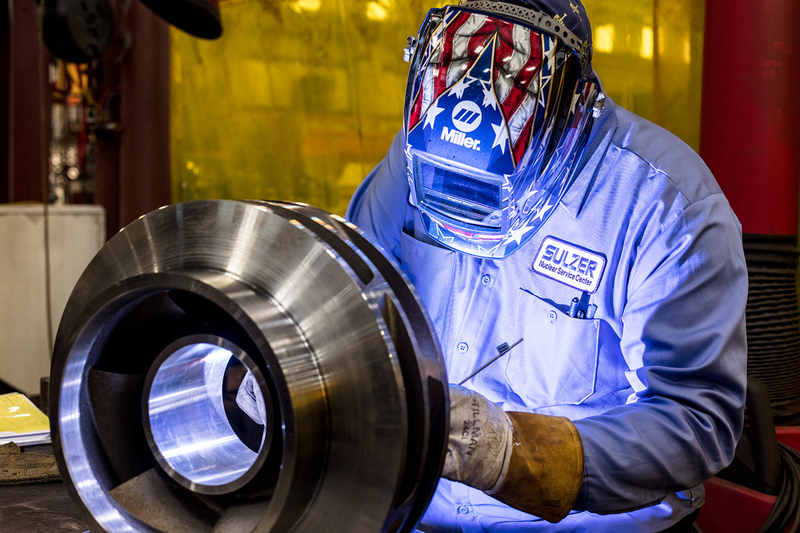 With a global network of over 180 technically advanced manufacturing and test facilities, Sulzer offers a collaborative advantage that delivers high-quality, cost-effective, customized and turnkey solutions, providing its customers with the peace of mind to focus on their core operations. With a long history of providing engineering service support, Sulzer is headquartered in Winterthur, Switzerland where it began in 1834. Today, with sales over US$ 3 billion and with approximately 14,000 employees, the Sulzer footprint spans across the globe. The core aim is to deliver a flexible and cost-effective service that optimizes customer operational efficiency and minimizes downtime. The image(s) distributed with this press release may only be used to accompany this copy, and are subject to copyright. Please contact DMA Europa if you wish to license the image for further use.